Worn Free is back at The Mini Social! | The House of Martins The House of Martins: Worn Free is back at The Mini Social! Worn Free is back at The Mini Social! Just in case you missed it last time - Worn Free is back on sale over at The Mini Social! If you have a little munchkin that reminds you of your favorite rockstar - or just want to put some awesome tees on your kid - you have to check this sale out. They have shirts from Debbie Harry and The Flying Burrito Bros (my fav!) and John Lennon. 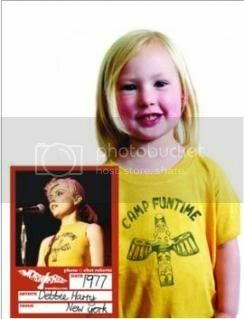 Can't you just see your little one in this Camp Funtime shirt? They are normal $40 (which is expensive for a kids tee) - but they are $19 on Mini Social. If your a mom, dad, aunt, uncle, babysitter and aren't signed up for The Mini Social deals -- you are missing out.